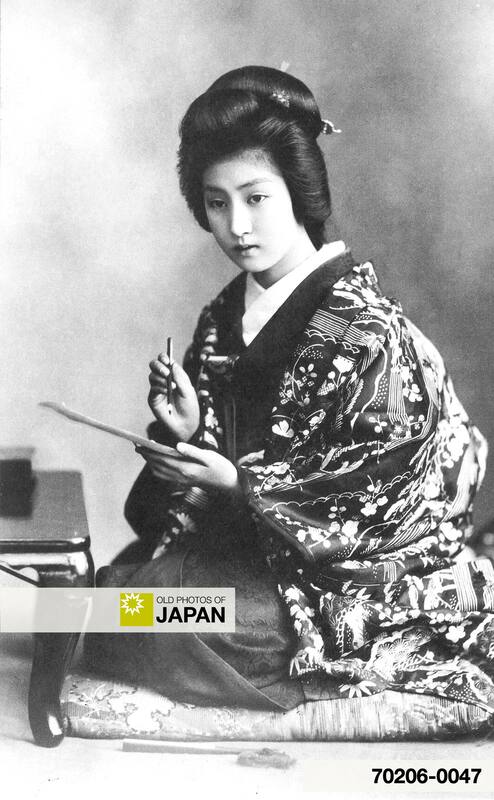 A young Japanese woman in kimono and traditional hairstyle is writing a letter or poem. This postcard was published sometime after 1918. During the early 20th century, picture postcards of bijin (beautiful women) were extremely popular in Japan (see Woman with Rose). You can also licence this image online: 70206-0047 @ MeijiShowa.com.